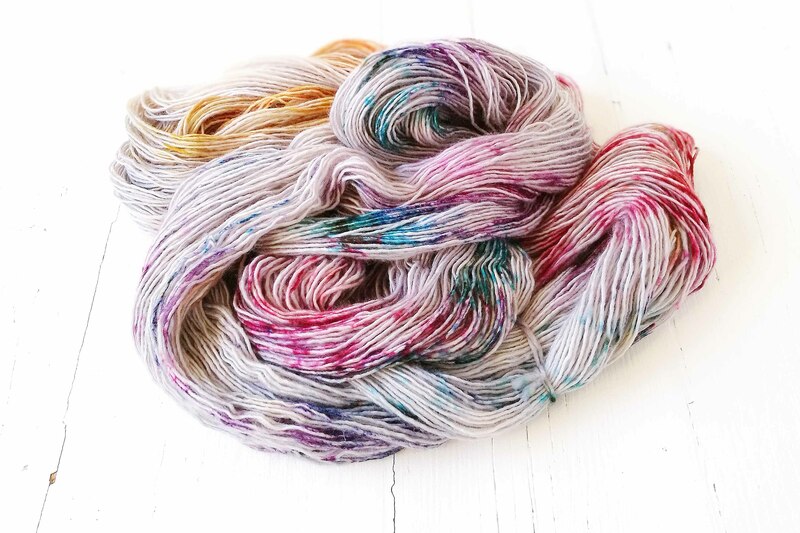 Each Miss la Motte skein is dyed with care and love by hand - this means that every skein is unique. Every effort is made to standardise dye colours and quantities within dye lots, but the speckled nature of the yarns will result in idiosyncrasies particular to each skein. To even out knitting/crocheting for large projects, it is recommended that skeins are alternated every few rows to achieve a more uniform effect. Please ensure that enough yarn is selected for each project when ordering yarn. Orders will be batched according to dye lots to ensure consistency.